The Fond du Lac Band and Enbridge Energy agreement gives Enbridge a new 20-year easement (through 2039), adjacent to the current Enbridge Mainline Corridor. The financial terms are confidential, according to the Fond du Lac letter. The Band agreed to help acquire needed project approvals. The Band will not participate in any opposition to the Project, but may comment on environmental, traditional cultural properties, or other matters directly affecting the Band or its Reservation, and, in the event that Enbridge appeals any aspect of the Commission’s orders, the Band reserves the right to participate in such proceedings to protect the Band’s interests. To be clear, the PUC gave Fond du Lac a no-win choice. One option was to run the new Line 3 along the current Mainline crossing reservation lands. 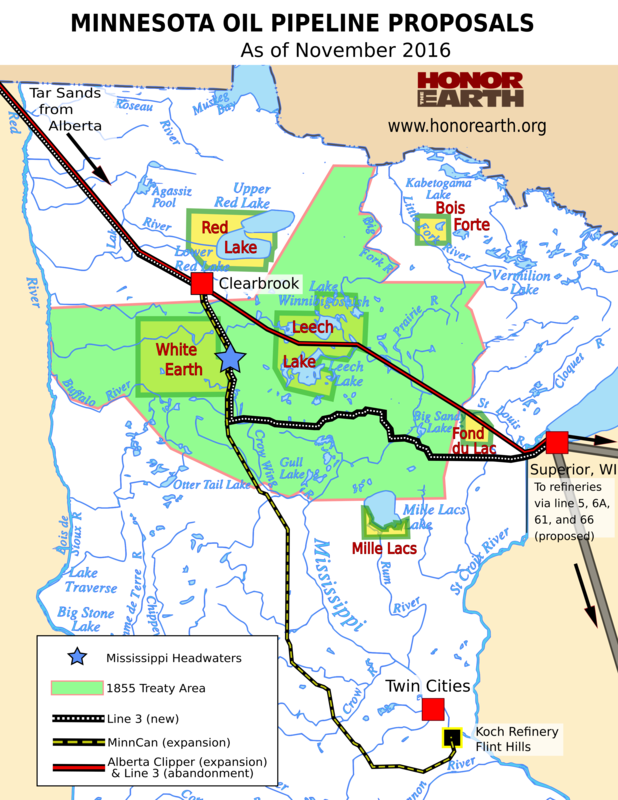 Fond du Lac didn’t want the pipeline, but that option minimizes land disturbance by following the existing corridor. The other option was running the line south of the reservation, opening a new pipeline corridor, affecting the Band’s watershed and treaty-protected rights to hunt, fish and gather on off-reservation lands. The new agreement gives Enbridge a double victory. It gets a needed easement and removes one voice of opposition to the project. … the Department continues to conclude that Enbridge Inc.’s current GL [General Liability] insurance coverage applicable to the Enbridge U.S. Mainline System and, potentially, a new Line 3, include significant exclusions for insurance coverage related to damages caused by a crude oil spill. Enbridge’s current policies with the exclusions and other limiting language will not comply with the terms and conditions in the Department’s insurance regulations. Therefore, the Department continues to recommend that the Commission not approve the Company’s compliance filings related to the insurance conditions. The three-judge court … also found the scope of the National Energy Board’s review “unjustifiably” did not include tanker traffic related to the project, which will have a negative effect on endangered killer whales, also known as orcas. Long-standing opposition to the project in Vancouver led Houston-based Kinder Morgan to back off the project. The company now is selling the pipeline to the Canadian government for $4.5 billion, the story said. The government still plans to move forward with the pipeline. 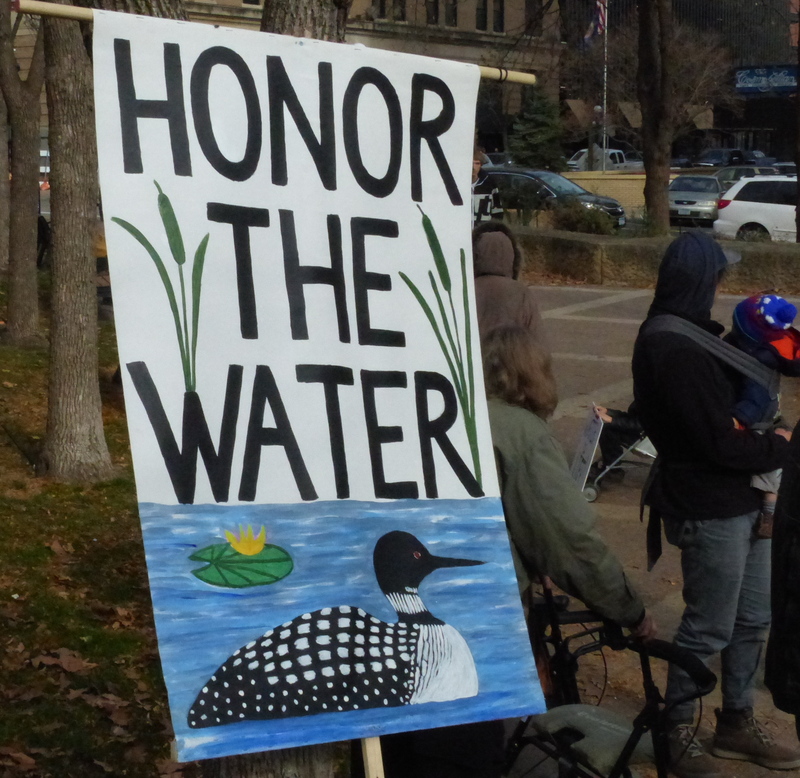 ← Water Protectors Ask You To Call Gov. Dayton to Stop Line 3!